Hands-On: LEGO Minecraft Set | OhGizmo! 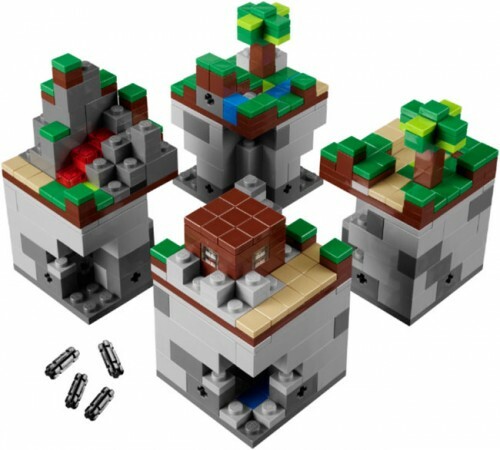 Remember that LEGO Minecraft set we wrote about last February? It was scheduled to be released this year and represents the first CUUSOO product to be released outside of Japan. If you’re not aware, LEGO CUUSOO is the company’s crowdsourced design blog where any entry with over 10,000 is considered for production. The $35 kit is now in the hands of some customers and the video below shows you a hands-on by The Brothers Brick. As a fan of Minecraft, I can see myself spending a few hours punching away at those tiny blocks. I wonder if they’ll ever make any of the Minecraft items to go with it? It’d be pretty cool to have pickaxes and shovels, and such. I think it’s a great start, and they should continue to build on it!